Latest media updates from the campaign. Among the incumbents unseated in Saturday's primary election is Democratic Senator Brickwood Galuteria. He represents District 12 which includes Waikiki, McCully and Kakaako. After ten years in the state senate, Galuteria was handily defeated by Sharon Moriwaki who campaigned on a message of change. Incumbent Sen. Brickwood Galuteria is behind challenger Sharon Moriwaki. After the second printout, Moriwaki continues to lead with 2,928 votes to Galuteria's 1,874 votes. 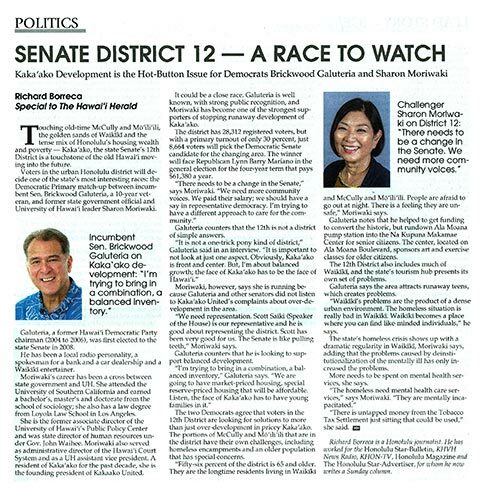 "I'm now running as a Democrat to be State Senator to represent not just Kaka‘ako, but neighboring Sheridan, McCully, Mö‘ili‘ili, Waikïkï and Ala Moana. 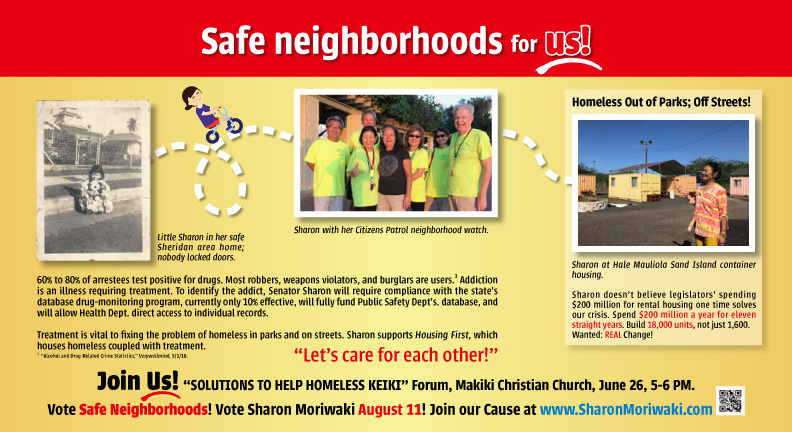 I want housing for residents, not offshore buyers; I want to help kupuna remain at home as they age; and I want to take on crime, including drug-related and homeless-related crime, in our neighborhoods." Touching old-time McCully and Mö‘ili‘ili, the golden sands of Waikïkï and the tense mix of Honolulu’s housing wealth and poverty — Kaka‘ako, the state Senate’s 12th District is a touchstone of the old Hawai‘i moving into the future. Voters in the urban Honolulu district will decide one of the state’s most interesting races: the Democratic Primary match-up between incumbent Sen. Brickwood Galuteria, a 10-year veteran, and former state government official and University of Hawai‘i leader Sharon Moriwaki. Sharon joins "Stan the Energy Man" to discuss the challenges of shaping Hawaii's clean energy future. 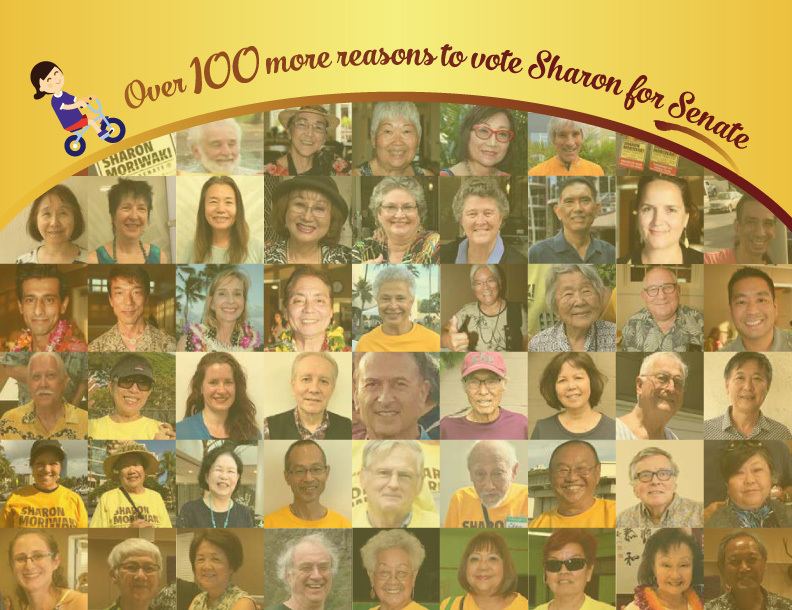 Download and read the "Over 100 More Reasons to Vote Sharon for Senate" mailer. Sharon joins host Jay Fidell for an episode of the ThinkTech Hawaii program "Community Matters." "My urban district is under siege — 'luxury blight' from Waikiki to Kakaako financed by outside investment aimed at an offshore market, even as residents are screaming for affordable housing." 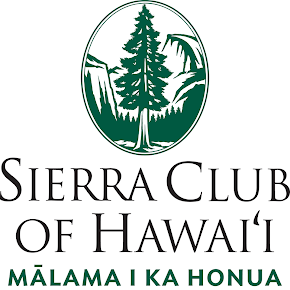 The Hawaii State Teachers Association (HSTA) is sponsoring "Caring for Our Homeless Keiki: Some Things to Consider" this coming Tuesday, June 26 from 5 to 6 p.m. at Makiki Christian Church (829 Pensacola St.). Download and read the "Safe Neighborhoods" mailer. 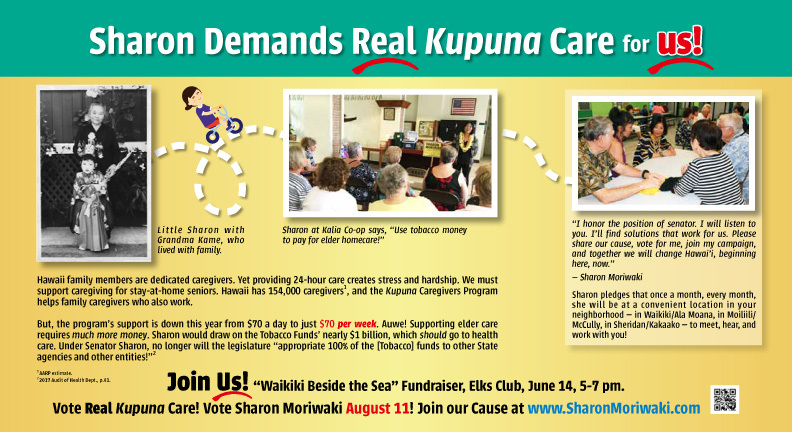 Download and read the "Kupuna Care" mailer. 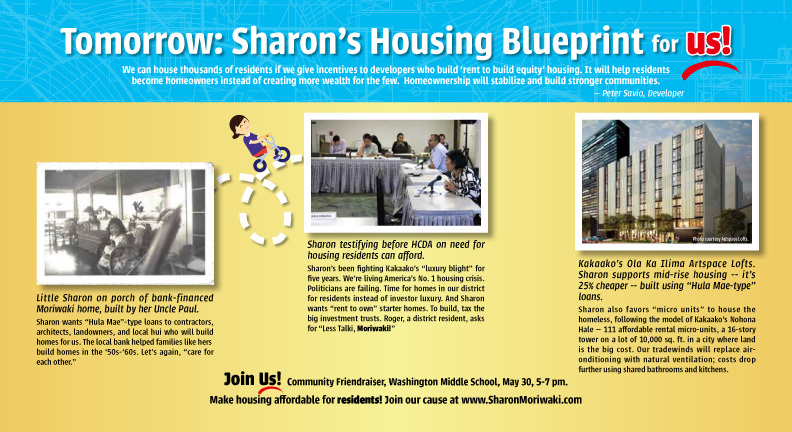 Download and read the "Housing Blueprint" mailer. Hawaii Independent Editor Will Caron sits down with Sharon Moriwaki for a long-form podcast interview. Mike Buck interviews Sharon Moriwaki on KHNR, March 22, 2018. 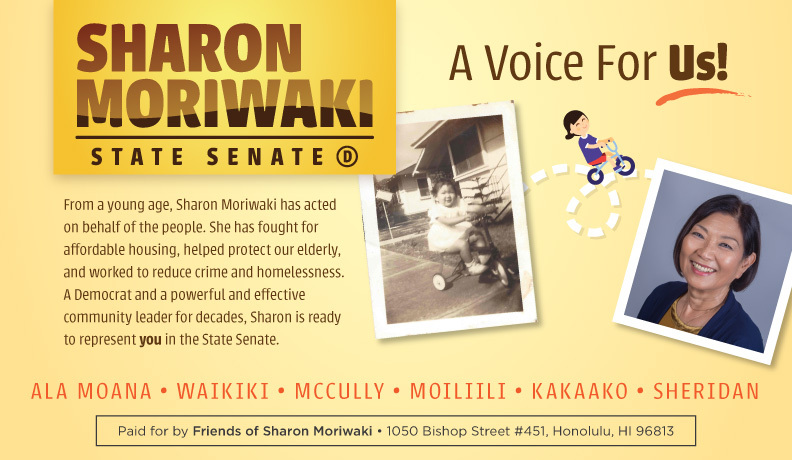 Hawaii Free Press reports on Sharon Moriwaki's campaign announcement event.